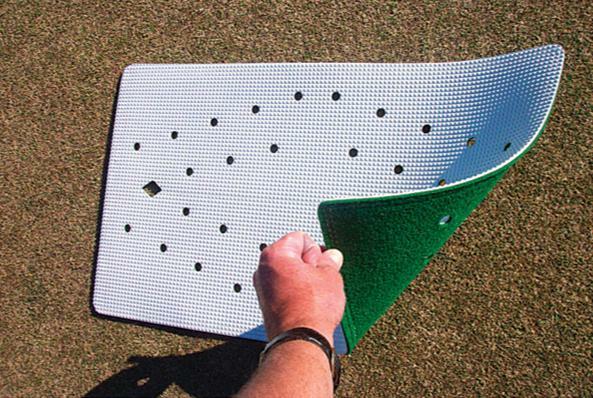 The top surface of the GREENMASTER Lawn Bowls Mat has been scientifically developed to provide maximum foot grip in all playing conditions and the under surface provides exceptional secure adhesion to greens. The rot and mildew resistant materials of this laminated and double stitched mat will ensure years of durable service. Unique placement of cut outs in the mat provide accurate line placement and directional assistance to players.